Android P has entered its next phase. As scheduled, Android Developer Preview 3 was released in early June. It includes the final APIs, but this still isn’t a release candidate. That’ll be Android P Developer Preview 4 by the end of the month. Around then, most bugs should be squashed and the user interface should settle down. Google will push out another release candidate right before the final release in September. The latest version of Android will be released at the end of the summer, but you can try it today. You might not want to, though, since Android P Developer Preview 3 has some bugs keeping it from perfection. That’s what we’re here for anyway. Even though the Pixel 2 XL is my daily driver, I took the jump into these murky waters. Google makes it incredibly easy to install the Android P Beta, so within seconds I was downloading Android P Developer Preview 3 on my phone. I played around with Android P for a bit, and now I have some things to say about what could be rolled out in a public build in a few months. 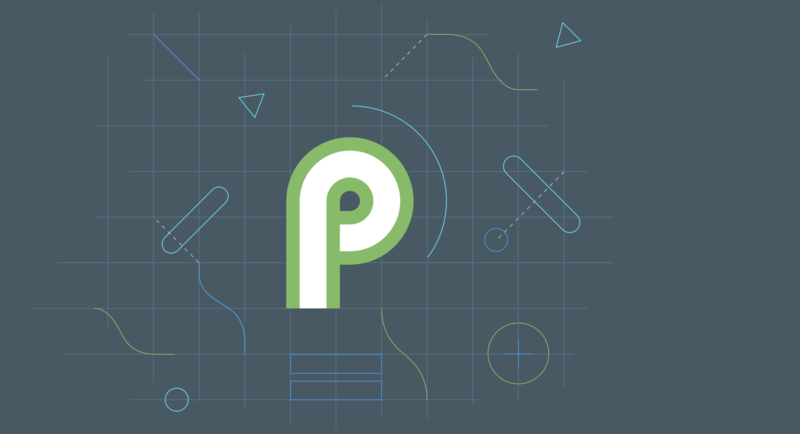 Editor’s Note: Since this is my first time using Android P, you’re getting a take on the version as a whole rather than what’s new in Android P Developer Preview 3 alone. Google isn’t throwing out Android’s look and starting from scratch. The way the operating system feels, however, is somewhat different now. Android P is about movement and colors. You’re always seeing something lively on the screen whether that’s a carousel of apps for multitasking or vibrant icons in the settings menu. You could even say Google’s gone further with Material Design. The whole point of Material Design is to add layers and texture to the experience, and Android P ushers in personality. Still, anyone who’s been on Android since 2014 won’t think Google has left them behind. It’s a collection of visual tweaks more than anything else. From a behavioral standpoint, Android P is largely unchanged aside from one big thing. 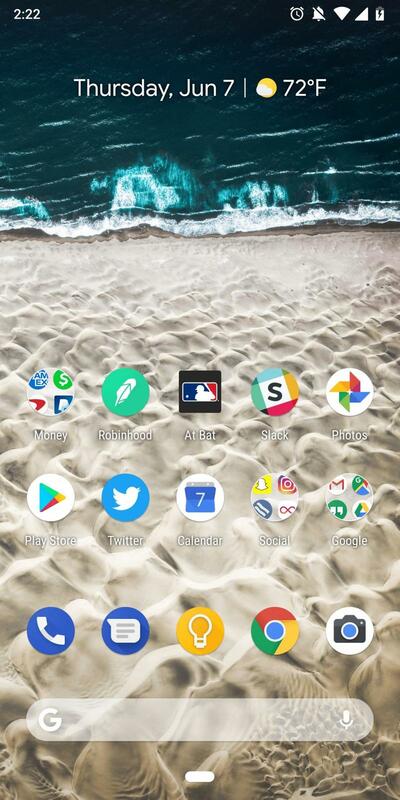 The home screen on Android P resembles what Oreo presents today. Up top, the Pixel 2 shows the date and weather. Then your apps spread below as you’ve organized them. 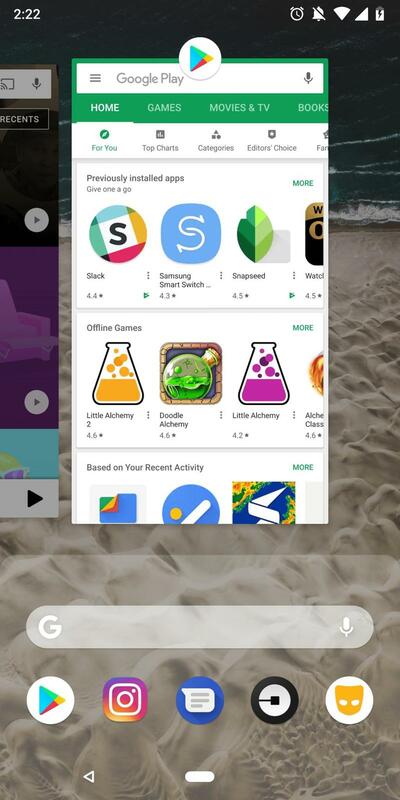 Google didn’t relocate the Search bar, and there’s a pinned row of apps sandwiched between it and your grid of apps on the home screen. Again, nothing to talk about here. What you’ll definitely spot is the time’s new position. Google moved it from the right side of the status bar to the left side. With the arrival of notch-happy mobile devices, the company is preparing its mobile operating system for optimal use of limited space. This isn’t a problem, but the time has always been on the right side since Android’s inception a decade ago. So it’s a little spooky for a longtime user like me. 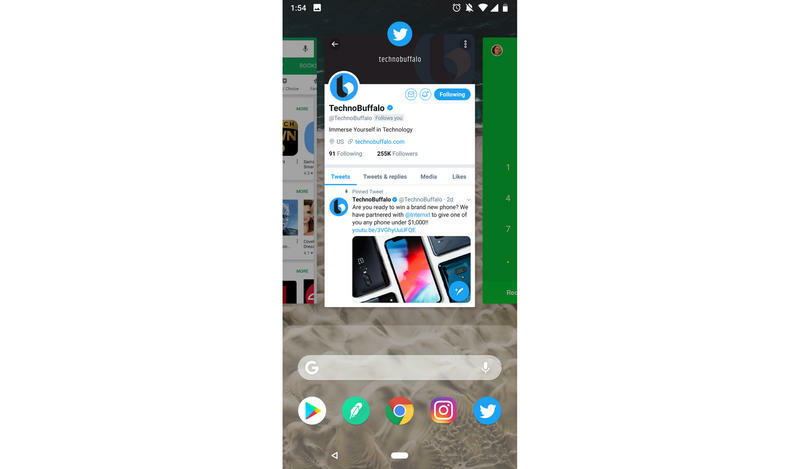 Google should let users decide if it goes on the left or right if a phone doesn’t have a notch. As for phones with notches, the time basically needs to be on the left. The alarm, sound, Wi-Fi, signal, and battery icons have to go somewhere. Android P also removes the zoom-out animation when you long-press the home screen. The same action brings up a localized window for settings, widgets, and wallpapers. The sharpness that Android is known for has been getting toned down since Marshmallow. Google’s platform is no longer made by nerds, for nerds. Android is clean and simple with Android P refining its appearance. Corners are no longer pointed. Instead, corners are softened with curves. Swipe from the top of the display, and you’ll see a familiar-yet-refreshed toolkit. You have instant access to Wi-Fi, Bluetooth, sound, rotation, flashlight, and more. This area remains customizable. If you swipe again, you’ll get the entire control panel. Google didn’t change any functionality, but the softer, colorful vibe is obvious. Notifications are treated similarly. As usual, you get a drop-down from the top of the display. But the difference is that it’s floating just like the control and sound panels. In Android P, everything is floating on top of what you already have opened. Google recreated the sound panel, and now it’s riding the edge next to the volume rocker. Finally, Android won’t have a mess of settings lumped into one. When you hit volume up or down, it’ll do so for media playback. 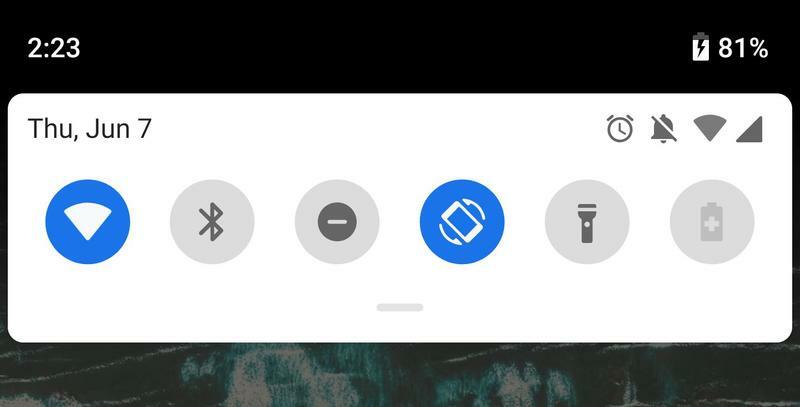 If you want to adjust your phone’s notification or alarm tones, you’ll hit the gear icon at the bottom of the panel. The brilliance is that, in an average day, you’re rarely adjusting how loud your phone rings. You’re constantly doing so for videos on YouTube, clips on Instagram, and time spent in a game. 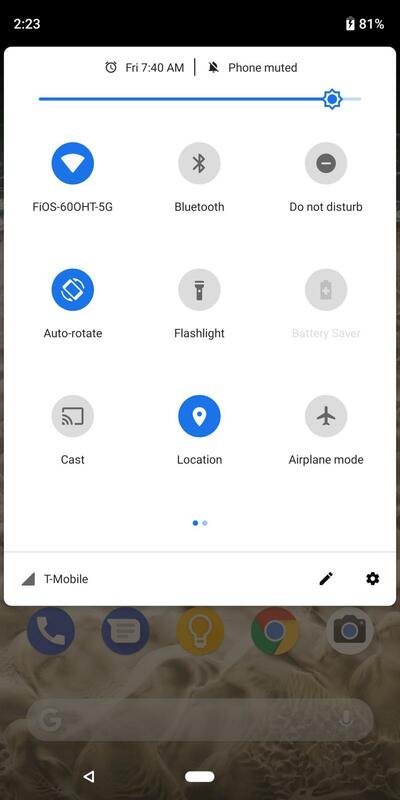 Android P does give you a quick toggle between sound on, vibrate only, and silent for notifications. So you’re not left jumping into other menus if you’re at a meeting or dinner and need to mute your phone. The company made improvements for the always-on display feature on its Pixel 2 as well. The date, time, and notifications are joined by additional bits of information. 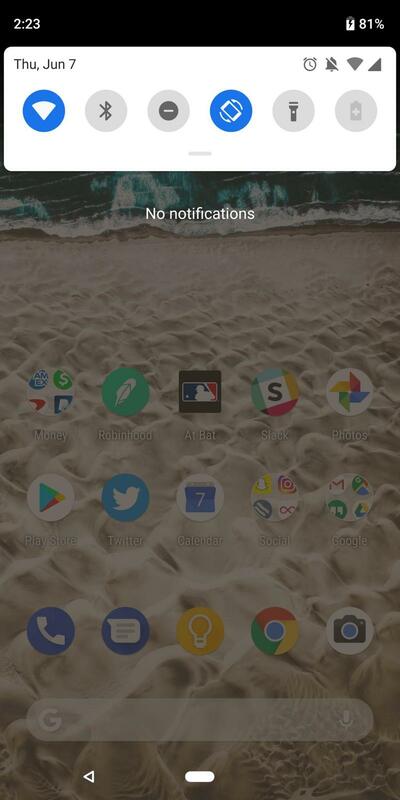 Your Pixel 2 can also show the weather and battery level now. I do wish Google let you customize this, however. The always-on display is getting busier, which makes it less practical to get the necessities at a glance. If you’re familiar with iOS on the iPhone X, the idea should sound the same. The button is less of a button and more of a gesture-friendly field. The route to the home screen is staying put. You’ll get there by tapping the button. But you won’t find a dedicated multitasking button to see all your recently-opened apps. The overview is now launched by swiping up from the bottom of the display. If you want to switch apps in a single gesture, you drag the icon to the right. 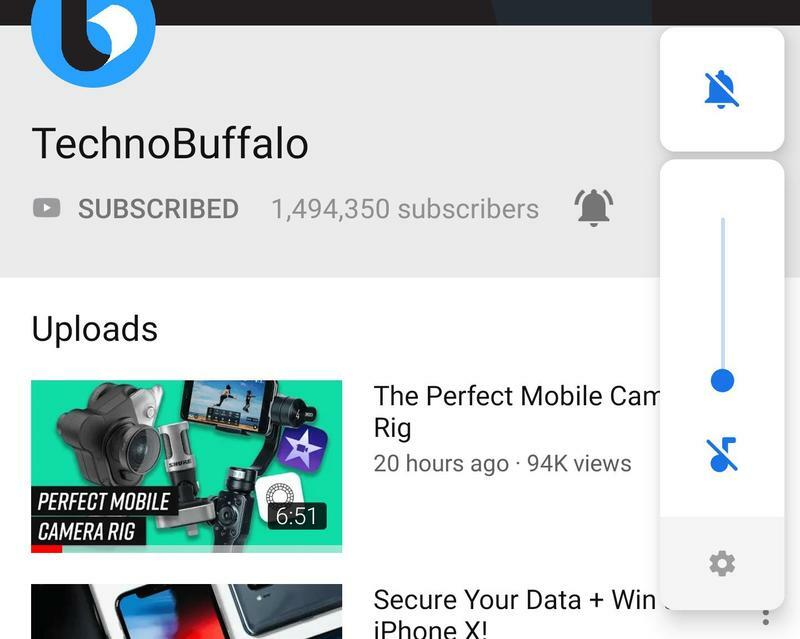 In the overview, you’ll also get immediate access to Google Search and the pinned apps. 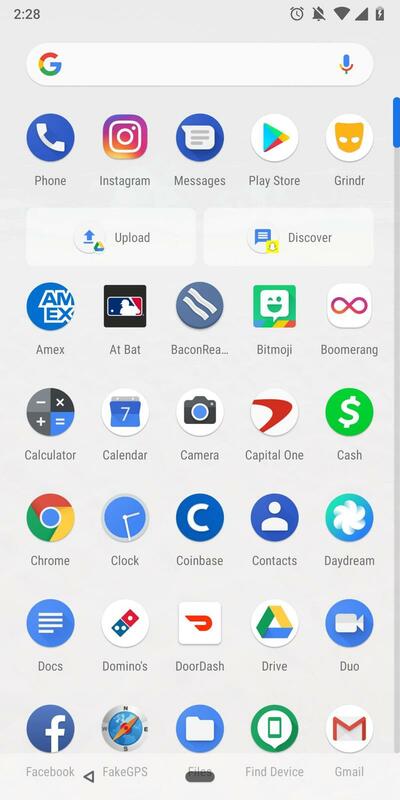 Google makes the full app drawer available with another swipe up from Android P’s lone button. When you’re in an app, you will get the back button. The platform isn’t like iOS where individual apps have the back button integrated from Apple, but Google’s half-baked solution (albeit likely a temporary one) is awkward. The single-button setup would be cool if it was actually solo. 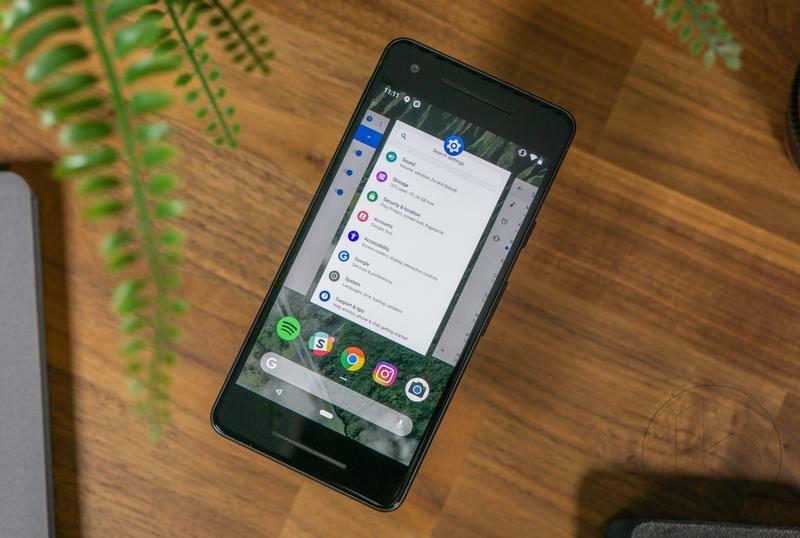 Android P Developer Preview 3 allows you to fall back on the classic on-screen navigation buttons, but I wouldn’t be too sure Google will offer that in the final release. Android P is clean, simple, and intuitive. Google is making Android feel fresh, and a reliance on gestures seems to be where the industry is heading. The addition of floating menus and panels adds depth along with the extra pop of color. Overall, I’d say it’s a confident step forward for the platform rather than a giant leap. If you’re feeling wild, go ahead and get put the Android P Beta on your phone. You can enroll on the Android Developers site if you have the Pixel 2, Pixel 2 XL, Pixel, or Pixel XL. 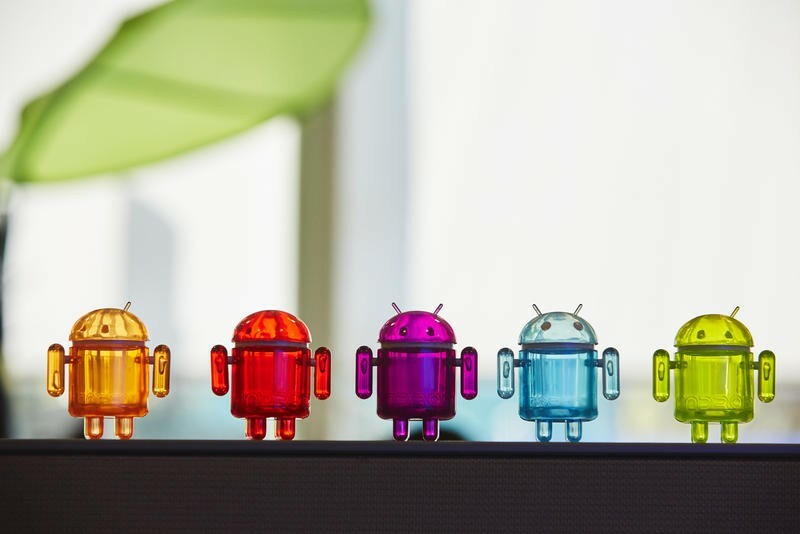 Google also announced at I/O 2018 that select brands are participating in the Android P Beta to speed along software updates in the long-term. Just remember that, because this is a beta program, there will be bugs. These can damage your device, and you’re solely responsible for that. While I can tell you Android P Developer Preview 3 appears stable, it’s far from that. Many of the bugs are under the hood, and thus you should wait until Android P is ready for all consumers.